NBK executive charged with Sh313m loan fraud – Kenyatta University TV (KUTV). All Rights Reserved. A senior National Bank manager arrested Tuesday evening was Wednesday charged with the intention to steal Sh313.6 million through fake loans. 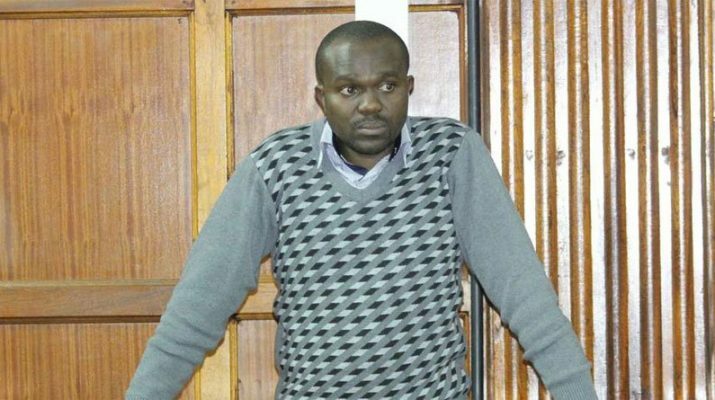 Dennis Oduor Chumbe, head of medium business at the lender, appeared before Chief Magistrate Francis Andayi and denied all five charges against him. The prosecution told the court that together with other two managers who were not present in court at the time, they planned to defraud their employer through making false entries in the loan book, which suggested that loans owed by various entities had been cleared. “The accused persons intended to defraud the said bank,” the court was told. The court also heard that the suspects made a false entry in the Loan book to accounts belonging to Transafric Timber Limited (Ltd), Kaab Enterprise Ltd and Benvar Estates Ltd in the bank while purporting to show that the monies were owed loan arrears, which had been cleared. The offence was allegedly committed between December 17 and 31, 2015 at the bank’s branch on Nairobi’s Harambee Avenue. The court was further told that Mr Chumbe committed the offences on different occasions and involved different loan entries of Sh50.2 million, Sh10.9 million, Sh8.7 million, Sh172.3 million and $ 779,175 (Sh80.2). This added up to Sh313.6 million. The other co-accused are chief credit officer George Weke Jaba as well as executive director Corporate and Institutional banking Boniface Amunga Biko. In May, two former National Bank managers were arrested over the loss of Sh106 million and charged. The two are former chief finance officer Mr Chris Kisire, and the acting finance chief Mr Wycliffe Kivunira. They were charged with abuse of office and breach of public trust. Mr Kivunira had taken over from Mr Kisire following the 2016 financial crisis at the bank. The magistrate directed that Mr Chumbe be released on a bond Sh3 million. His trial kicks off on October 4.